From prehistoric cave paintings to current digital art, animals have provided creative inspiration across the centuries. “Animal Instincts,” the 2014 Juried Exhibition in Print by SNAG and produced by Metalsmith, will showcase a diverse range of animal-related work from the metalsmithing field. 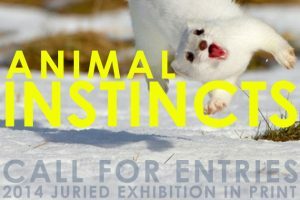 We are seeking works that are about animals, of animals, and even for animals. Let your animal instincts run wild!